Connecticut Association Of Schools - Serving Students » ATTN: High School Principals! Join the CT Drama Association! The Connecticut Drama Association is not just an organization to which a school pays dues, although, it is that, too; but it creates opportunities for high theater directors and their actors and techies to come together to share their passion for theater. The CDA is an 84-year old organization of high school theater programs. Each New England state has such an organization and together we comprise the New England Drama Association. The combined efforts of our schools and activities bring our interested kids together to share our passion for theater. Unfortunately, Connecticut’s participation rate is very low compared to Vermont, Maine, and Massachusetts. Maine has 79 schools involved, Mass has well over 100 while Connecticut hovers around 12. One of the success stories that we hear from Maine is that they are sponsored by the Principals’ Association. Wouldn’t it be terrific if we could get that kind of sponsorship in Connecticut? CDA sponsors festivals, contests, and workshops throughout the year. Our biggest regular event is the CDA Festival held at one of our high schools for two days of plays, forums, and workshops. It’s the highlight of the year where kids bond with others who enjoy the same skills. Kids are involved at every turn. They may direct, build costumes, design lighting, costumes, or sound. We learn SO much from each other during these events that we bring back to our own schools. It might be figuring out how to solve a difficult staging problem or learning that there are many different and workable ways to solve a theatrical problem on a tight budget. Our plays are judged by experienced professionals in the field. They help us to become better at what we’re doing by giving us compassionate insights into the development of our craft. Our other regular and popular event is the Monologue Contest. We’ve been trying to put this program into the fall before college auditions so that kids who are planning to apply to competitive college drama programs can get some meaningful feedback on their monologues before auditions take place. This past year, ECSU asked us to hold the event on their campus and offered workshops for actors and techies taught by their faculty. It was a huge success and now they are going to repeat it this coming year. We see more and more that colleges want contact with us so they can better target potential drama students for their programs. We’re hoping you can help schools understand how valuable drama is for high school students and how CDA can help teachers, directors, and students grow in the development of these life long skills that theater provides. We are here to help schools get started or just get on board. We can show directors how to gain the support of their parents (and administrators!). Please let me know if there’s anything else I can do. I know that CDA has been an amazing organization with whom I have made some of my deepest friends and colleagues. We just want to see the organization grow and need the support of high school principals. 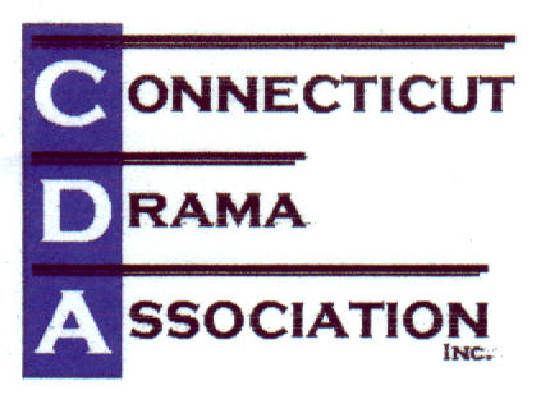 For more information, visit connecticutdramaassociation.org or contact Lenore Grunko, E.O. Smith High School Drama Club Advisor and Director, at lenoregrunko yahoo com.